This is the story of the 1988 Permian Panthers, a Texas High School American Football team. The film is an adaptation of the book by Buzz Bussinger (a harder and more political read than the film). The film follows 4 different characters, all with their own problems through the team’s season and their dream of a Texas State Championship. 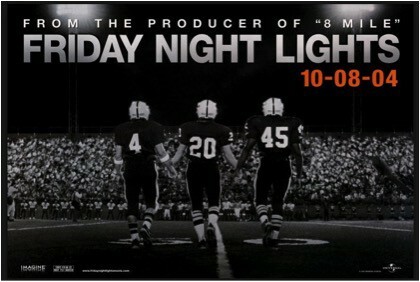 The movie shows the harsh realities and pressures of being a football star in a small Texas town where football is life and death and the whole town turns out to see the “Friday Night Lights”. The film shows how dreams can be shattered and how football can be a dream ticket to get out of town. The characters are all well drawn and the football scenes are well shot and fairly brutal. The soundtrack by the Texas band Explosion in the Sky is amazing and worth listening to even if you have not seen the film. The film also got spun out in the highly regarded TV series, which is also worth a watch. You may have never seen the film, but you will know the music! You know the one that makes you throw your head back and run along the sand in slow motion! A real life dramatisation of two athletes as they work towards and compete in the 1924 Olympics in Paris overcoming the religious and prejudice hurdles put in front of them. 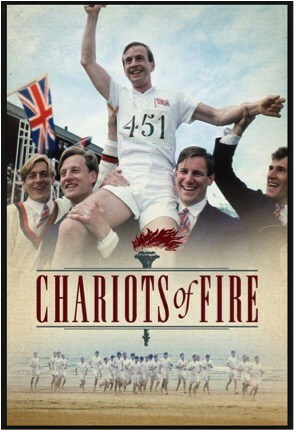 Famous for its Oscar winning score by Vangelis and its Oscar win for best film in 1982, this exquisite historical drama shows a time when athletics really was amateur and the Olympics were really all about taking part. Now this is real. No historical inaccuracies here! A documentary that follows the story of two high school students and their dreams of becoming professional basketball players. The film follows William and Arthur as they travel from a poor African American neighbourhood to a predominantly white school with a storied basketball program and their struggle with the many of the issues (race, class, economics) in modern day American society. 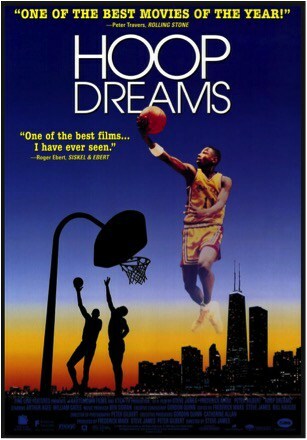 I was a huge basketball fan when this film came out in 1996, and shows the struggles of people trying to better their circumstances through sport. A Sundance Film Festival winner and highly regarded film with a 98% rating on Rotten Tomatoes. 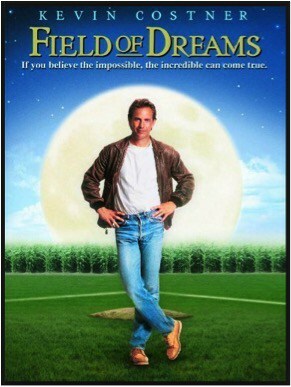 A greatest of all Kevin Costner sport films! He could easily make many appearances on this list. Kev (Ray) is a discontent farmer in Iowa who starts to hear voices when he is tending to his corn “If you built it. He will come”. He ploughs his corn and builds a baseball diamond. The 8 members of the 1919 Chicago White Sox team, including Shoeless Joe Jackson who were banned from baseball following a match fixing scandal turn up out of the corn and start practicing on the diamond. Ray hears the voice again, urging him to “Ease his pain”. He then sets off on a road trip to piece the parts together for a tear jerking conclusion. If that all sounds a bit weird, that because it is! There is a fair bit of fantasy involved in the film and it’s not really about baseball, but it is fricking excellent. I never tier of this film, and forget how there are some many strings that are so beautifully tied together. I used to catch this film on terrestrial TV back in the days of four channels, and it has gone on to become a classic. A coming of age drama about four friends from Indiana who have just graduated high school and are looking to make their way in life and break away from their working class roots. 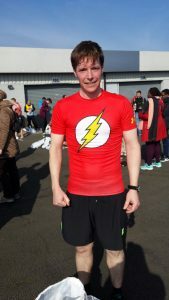 Dave is obsessed with cycling, particularly Italian Pro teams and longs to become a professional cyclist. There are rivalries between the rich university students and the local “cutters” (stonecutter) which concludes in a them against us cycling showdown. A great, feel good and inspiring movie, an Oscar winner and stars a young Dennis Quaid. What’s not to like? Unlikely to have been seen by many of you, but I am a sucker for sports film that tugs on the heart strings. The real life story about the aftermath of the 1970 plane crash that killed the entire team and staff of the Marshall University American Football team, and the university’s attempt to rebuilt the program and heal the wounds of the town. 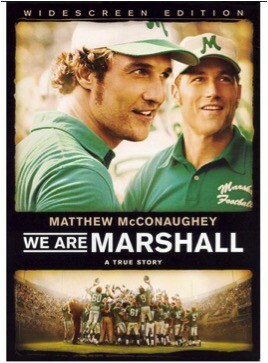 Matthew McConaughey gives a truly outstanding (and over the top) performance as the new coach. It is inspiring to see what people can do and sacrifice in order to provide for others. Definitely a “Sunday afternooner” and great to see the montage at the end on how the “Thundering Herd” are getting on now. A documentary about the pioneering Zephyr Skateboard team from the 1970s and their influence of the growing sport of skateboarding. 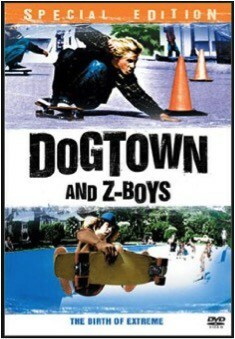 The film mixes film shot in the 70s and contemporary interviews to tell the story of skateboarding and how a gang of young kids in California influenced our culture. This terrific film with a rip roaring soundtrack shows a bygone era and the people for paved the way for what became the X Games and the explosion of extreme sports and how the protagonists dealt with this change. Kev gets two on the list! 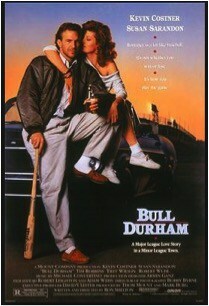 Another baseball film starring Kevin Costner (Crash), with Susan Sarandon (Annie) and Tim Robbins (Ebby) about an aging pitcher brought in by a minor league team to mentor the rookie pitcher on how to make it the major leagues. The inevitable love triangle forms as Annie dates Ebby but is more and more attracted to Crash. A lovely, very funny and romantic film about the lower levels of professional sports with it’s the young pretenders and the ageing veterans. Tell your girlfriend, it is really a romantic comedy! Tell your boyfriend, it is really a film about baseball! It has a 97% rating on Rotten Tomatoes and is available at all good video stores! A documentary about the life and death of Ayrton Senna, the Brazilian Motor Racing Champion. 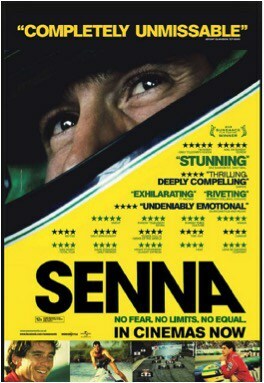 The film focuses on his 10 years in Formula One and concludes on the tragic day at the 1994 San Marino Grand Prix. It is one of those films, where even though you know the ending, it is a real fist in the mouth stuff as you will Senna not to get in the car and for there to be a different ending. Expertly crafted by Asif Kapadia, (who later made Amy) using existing videos and footage, you forget what a truly transcendent driver was, as you see the in car footage of Senna obliterating the competition in the rain at Monaco. A multiple award winner, that is not just for racing fans and shows a true star who desperately cared about his sport and the safety of his opponents and is sorely missed. What are your favourite sport films? What do you think of my choices? Let me know by leaving a comment below.